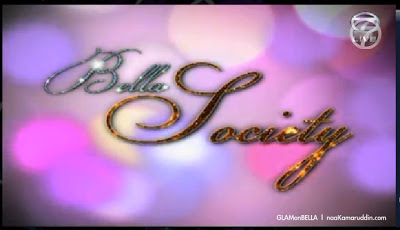 Faces of GLAMpreneurs was on TV for 2 weeks in a row! 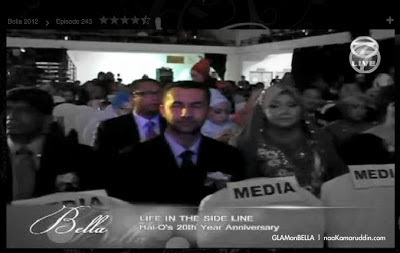 spotted..hubby, Ashraf Naserudin and me at second row! 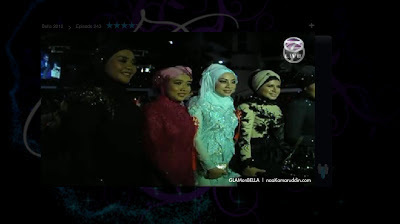 Me and other GLAM's CDM..
the media will definitely catch our founder of GLG..
Hanis Haizi in Datuk Radzuan Radziwill's stunning dress! now she's earning 6 figures monthly income as the Premium Beautiful Top Agent! From a former engineer, now she's doing the business full time. All we want as a young mom nowadays, financial and time freedom! These two ladies inspired me right from the moment i started this business until now. and we chose this career over working at sites. ALHAMDULILLAH, now we have more time to spend with our kids as we have flexible working hours and still earning solid 5/6 figures monthly income. 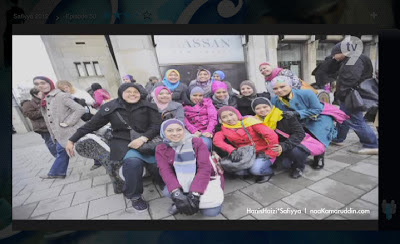 our dearest mentor Hanis Haizi had another special interview with another show, Safiyya on TV9. She was featured on the show as the Handbags and Shoes Collector! PRADA, YSL, DIOR, LV, CHANEL and the list goes on and on..
She really deserve these after all the hard work. "hanis lebih suka menempa kejayaan dengan hasil usaha, titik peluh sendiri dan bukannya bergantung pada kesenangan keluarga"
just look at her now, at the age of 28! Living the life we always dream of. spotted again, me in the picture during our trip to Amsterdam! A good start for me, tumpang gambar mentor dulu. and to all GLG members.